Jonathan Hall of William Pitt Sotheby’s International Realty’s Greater Danbury Brokerage represented the buyer of this 4 bedroom colonial on a in Western Danbury. Located at 5 Cel Bret Drive, this 2152 square foot home offers hardwood floors (waiting to be refinished), a newer roof, vinyl replacement windows and sits on a level 1 acre lot with scenic hillside views. 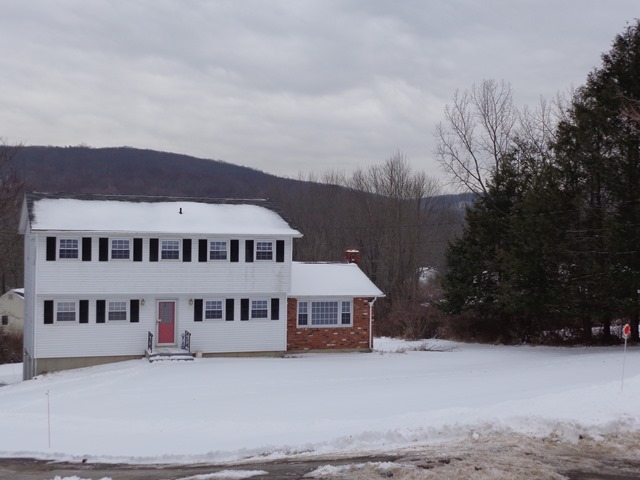 This home sits on the a cul de sac of quality homes along the Ridgefield line in the Miry Brook district of Danbury, only minutes to New York State, the Danbury Mall, I-84 and Route 7. This home was just what my clients were looking for. A home that has been maintained over the years, but could use some updating in some areas. Once I took over the transaction for my clients, the home was closed in less than 45 days from the date the home took the deposit. It would have been less if it wasn’t for dealing with some unexpected red tape that the sellers had no idea about at Danbury City Hall. Luckily for my clients and the homeowners, we are able to reach a happy conclusion for all parties. This was a very in demand property, and my clients won out on the multiple offers. If you know a home in the Miry Brook area of Danbury and are considering a move in the future, please contact me.